Welcome To The StriaFade Giveaway! Everyone goes through body changes and many times stretchmarks are left behind as evidence! There's no need to lose self-confidence because of your appearance! Treat stretchmarks with StriaFade Premium Stretchmark Solution, with 5 key ingredients, which when combined, create a solution that is virtually unequaled in the skin care market! It is certainly worth the time to check out the best stretch mark cream that you can find in the market today. Stretch marks removal should not hurt, nor should it cost hundreds of dollars, or require you to go to the doctor's office time and time again. 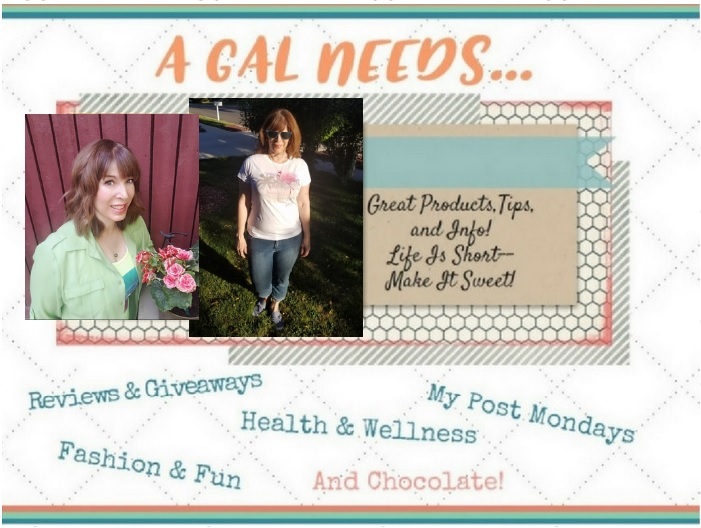 Read the review at A GAL NEEDS...and find out about her experience with StriaFade! Many thanks to StriaFade for sponsoring this giveaway and thanks to Oh My Goodies for Co-Hosting! Two winners will each receive one bottle of StriaFade Premium Stretchmark Solution, a retail value of $49.00! Just enter from the Rafflecopter below! If you have won or received a free StriaFade Product within the last 12 months, you are not eligible to enter. Only one entrant per household and open to US only! More guidelines in the Rafflecopter disclosure! In most cases individuals should experience full results within 3 to 6 months! I learned that you don't have to keep using StriaFade in order to keep your results. You can get stretch marks from rapid weight loss or just from aging. I learned that StriaFade does not need to be continually used in order to keep your results! Regu-Stretch®, Antarcticine®, Shea Butter, and Onion Bulb Extract combine into a powerful stretch mark cream with no equal! I learned that StriaFade is not tested on animals, which is important to me! I would love to try this stuff. From all of the testimonials and the before and after pic.. it sounds really amazing.